The Supreme Court on Thursday accepted Bahria Town Karachi's Rs460 billion offer for the lands it occupies in the Malir district of Karachi and restrained the National Accountability Bureau (NAB) from filing references against it. The Supreme Court last week had reserved its ruling on whether or not to accept a fresh offer by the Bahria Town (Pvt) Limited to settle a case pertaining to its Malir or Karachi Super Highway project in lieu of payment of Rs450 billion. Announcing its verdict today, the Supreme Court accepted the offer, which was raised to Rs460bn. Bahria Town Karachi will have to pay the entire amount over seven years. In its ruling, the top court ordered Bahria Town Karachi to pay Rs25 billion by August this year. From September onward, it will have to pay monthly instalments of Rs2.25bn for the next three years. If the company fails to deposit two instalments, Bahria Town Karachi will be considered a defaulter. After three years, it will have to pay a four per cent markup in case of late instalments. The company will also be required to give a 99-year lease to everyone who purchased a plot in Bahria Town Karachi housing project and will mortgage parks, cinemas and other assets owned by it. 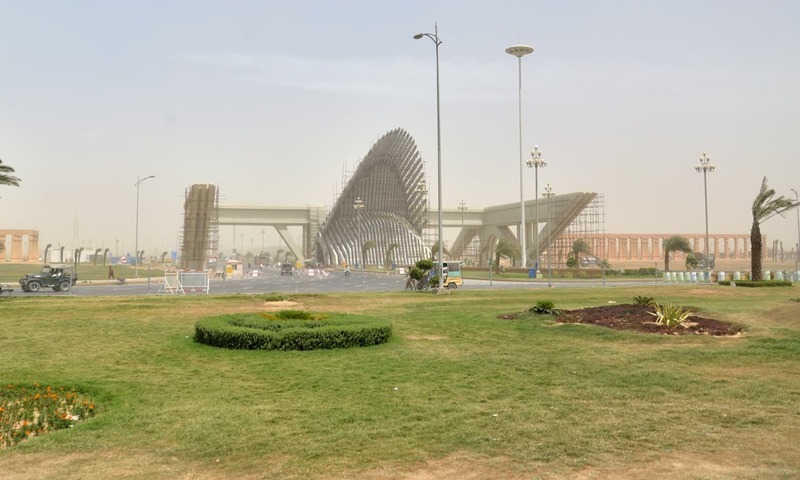 Bahria Town's counsel sought a period of seven and a half years to make the full payment, and also asked the court to allow the payments to be made to the Sindh government. "If you want to make payments in seven and a half years then talk to NAB," replied Justice Sheikh Azmat Saeed. Sindh government, which had insisted during the entire course of the case that it did not incur any losses, told the court today that it should be the recipient of the funds that are to be obtained from the builder. "The funds haven't come yet but squabbles have started already," Justice Saeed remarked. "We know where the money has to go." Malir Development Authority's (MDA) counsel also requested the court to discard cases against Sindh government's officials. "Do you want that references should not be filed against those who misused their authority?" Justice Faisal Arab asked. "The matter has [only] been settled with Bahria Town," clarified Justice Saeed, adding that if NAB wants to file references against other officials, it can petition the court. "We will decide after hearing both the parties." The money will be deposited in the Supreme Court which will then be distributed as per the law, the order said. Bahria Town Karachi's director has also been ordered to record a statement under oath regarding the payment. Justice Saeed, while reserving the verdict, had observed that “the matter has run its course”. The land was granted for launching an incremental housing project, but instead of launching such a scheme, the MDA exchanged it with Bahria Town that launched a scheme of its own, the May 4 judgement had held. So loot and plunder, later pay a small portion off and go scott-free? 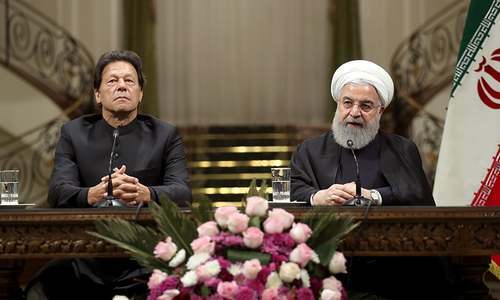 Is it a path shown to Zardari and Nawaz as well? its indeed a nig news of the week! There will be interesting and varying reactions! I support this decision ;) Its the only good Housing Society for middle class civilians in whole country! Sold out. First grab ancestral land and later bribe money to shut the justice. No wonder law is blind and deaf. Landmark decision. It will help millions of people who have invested heavily in Bahria Town. A sigh of relief. Finally justice prevails - not. @Ping, no, this is a way to resolve issues, product of past corrupt governments, for the good of the society and prosperity. That is great for the progress of our country. Businesses should be accommodated and such a decision will go down well with the overall housing sector investment. We need each and every penny for our country and should appreciate all business ventures. I hope now Bahria town will continue their investments in other mega housing projects. @Ping, It's a fair judgment. This is not justice a company that has stolen 1000 bilion value of land has just to pay 460 bilion!! It is not even the half of the amount! What a shame!!! @Oldie, ancestral land of whom?. Malir was undeveloped arid land before bahria town stepped in. Bahria town has transformed it into a housing society that is at par with Europe. Shameful. No justice for those who were evicted from their lands. No matter that hundreds were killed so Malik Riaz could get rich. But then, this is Pakistan, nothing should surprise us any more. This is not justice! !Bahria town has stolen 1000 bilion value of land and has just to pay 460 bilion!!! It is not even the half of amount!! Good decision. Billions of dollars worth of investment was saved. Good decision in the best interest of public. This is the project which is worth living in Pakistan providing state of art facilities. 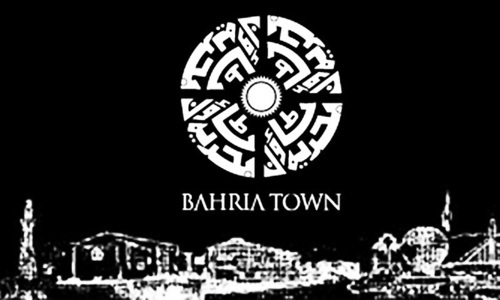 DHA is no match to Bahria Town Karachi. Some relief!! But for whom? Where would the money go? To the same corrupt Sindh Govt.? Everything is possible in NayaPakistan. If you have money you can settle everything. Thank u SC for recovering RS 460B, I think out of this Rs 405 B is for Malir river land, do not give this to Sindh Government, request to handover this Karachi share to Federal Govt and let spent on the welfare of Sindh, 2nd investigate against Rao Anwer who is culprit in this land grabbing and he is acting on behalf of his master, now Rao+ his political master should be investigated, these fund is spent on the direction of federal Govt with Gov of sindh as head of funds and spend from Karachi to Gotki. Excellent decision by the supreme Court of Pakistan!! This is a lot of money in government coffers. Happy ending. I guess we all can now loot, plunder, give a portion of the loot and go scot free. What a farce. It was the most likely outcome. @Ping, Whats the point of keeping accused ( like NS) in Jail & Spend millions on his security , Health & Food. Same methodology must be adopted in all other corruption cases . Objective is to recover the money . Rs.460 b equals 3.4 billion dollars, wow it’s more than UAE offered loan. It’s a remarkable decision, Whatever are the reasons of land deal but the thing that no one can deny Bharia Town has given a new dimension to turning a wasted land to a world class township in no times. This decision is a win win situation for both the owners and the government. Very weak decision.Every criminal must be provided this bargaining option fro there crimes. @Ping, 460B it's not a small portion... besides we need money more now than handing punishments. Time for punishments will come, but at the moment we need money. Right decision for the benefits of thousands of people (including overseas Pakistanis) and their families who invested their hard earned money in the Bahria projects. Why these people were suffering for the wrong doing of Sindh govt. or Bahria? Now Bahria will develop the housing on the land, which is good for people. The amount Bahria is paying to government is more than enough, probably it should be less. Whatever you say, it is the fact that Malik Riaz provided good housing to people at low cost. If this money does indeed come in, then it will by far the biggest achievement of last CJP. Good. Finally some money is being recovered by looters else they were having the free ride during ppp and pmln regime. Really welcome news. This is no justice, only a workable solution of an issue created due to malafied and corrupt executive and politicians. In theory Malik Riaz should have been jailed for many years. That's justice. But in current circumstances no one else in the country specially sind government is able to build any decent housing scheme and this decision will give related governments 460 billions for the land it has sold cheaply. Its a good decision. However those government official who allow Bahria Town to construct without proper NOC should be trialed so no one in future can do this type of activity. Fair price in a falling housing market. Million dollar question is where this 460 billion rupees will be deposited . If it is Sindh government than it was useless activity. Credit goes to ex CJP Mr Saqib Nisar. All those who are criticizing this decision, should also think about the genuine investors. Its a big relief for a common man who invested its lifetime savings in this project. @Ping, its not a small portion. 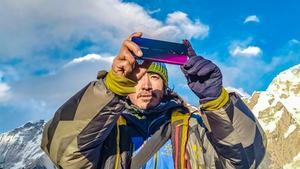 its around 3.5 bn USD equivalent. I do agree that this has been kind of buy justice transaction but I am sure jailing him would have done no good and its better to get that money to strengthen already crippled economy. Money belongs to Karachi so it should be spent in Kararchi only, no any so called project should get this amount. Thank you supreme Court! Justice has been served. Very good decision. Lot of money invested in Bahria Town by common people who want to live in a clean peaceful place. Now the people can get their plots and homes. What happened to the 485 billion previous offer ? Courts should have announced where this money will go. Only if the collected money goes to good causes would it make sense. All eyes on the courts now. If all inolved Bureaucracy and Sindh Govt. are not punished for all the wrong doings in this case then it is no justice at all. Not sure if Bahria Paradise and Sports city still with Bahria or given back to MDA? the money should go to federal kitty and not Sindh corrupt kitty. Who are living in bahria town feel happy and great because bahria town officially legalize land from order of Supreme court. but unfortunately, who are booked plot and houses in sports city effected order in supreme court. How they get his hard earn money in his account or switch the plots. Who will he pay the amount? And where will the funds go? Will the poor, whose properties Malik Riaz plundered be compensated? Who says crime doesn't pay? It does, in Pakistan! What to expect in such terrible financial situation in Pakistan? All illegal tycoons have good opportunity to legalize their assets by giving some amount. It is true money has power. At Rs 460 billion for 16,896 of land, price per Kanal comes to Rs.3,403,172/= Leaving 60% land for roads, services, parks etc., it would amount to about Rs.6,6 million per 500 sq yards, which is quite substantial even at present prices. The decision is a win win situation for all. Only those are criticizing who missed the opportunity of buying a plot in Bahria. The decision makes a huge difference between the present government and previous government. At least presently we are getting money from the corrupt mafia contrary to the previous governments of looters when the money was flowing outward. What’s the punishment for Malik Riaz? He knew about his wrong doing but still remains arrogant. All his charity works are mere a show off and deserves no sympathy. @Ping, Ever heard of plea deals? It is used in western countries all the time. Please read up before being edgy. Wrong decision. Very disappointed with SC, it seems there is no consequence of crime in Pakistan. Everything revolves around money and who has money, he/they will win. SC has started a wrong precedent and other may follow the same. Who would own the payment of Rs.460 billion for land? Hope it is not the Sindh Government. Otherwise, it would be a total loss. Besides, who would bear the cost of land development charges ? This is a Win-Win for the people of Pakistan, especially the city of Karachi. @M. Saeed: Land belongs to Karachi, population living in Bahria Town would use amenities of Karachi ... I hope, this time Karachi is not looted again. Money should be spend to make Karachi better place for living ... that is, for providing infrastructure, transport, water and other amenities to Karachi. If we can't nail the biggest mafia in Pakistan,we are helpless. Good decision in favor of middle class people and simultaneously making BTK accountable. Who is right and who is wrong? Only time will tell. @Usman, I think you had never visited the said land it was completely a barren land with uneven landscape, and seeing the performance of Sindh Government it will not be developed to make it livable in another 100 years thanks to Malik Riaz and his Company who have turned the inhabitable barren land into a wonderland for middle class populous by his untiring efforts and spending millions of rupees. 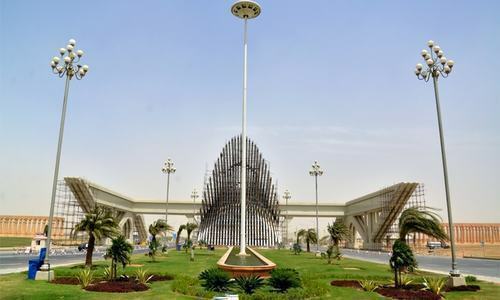 Keeping in view the mass scale of development work in the Bahria Town Karachi soon it will be the model modern city in South East Asia, which can be presented to the whole world with a national pride. Very good News. Mallick Riaz is a noble person caught on wrong reasons. So, he is paying around $20,000 per acre on top of what he already paid. He will pass down this cost to buyers anyway. no matter what you did just pay and free, is it justice ? I do not like it that Bahria goes scot free. However, looking at the positive side, we will get almost 25% of Dam fund money from Bahria. Hopefully we will get the remaining from Zardari and Nawaz. 460 Billion in one go would be a worth. In seven years it would be added like a penny in the monthly budget of the country/province. This is the weak point of the decision. Very good news for tens of thousands of middle-income investors. A realistic and plausible judgment of the Honorable Supreme Court. disappointing decision like that of hyatt regency islamabad. how long we run the affairs on necessity or compromise ? CDA Islamabad is already under quandary whether to regularize all "unauthorized constructions" in line with decision of hyatt regency. This will open yet another door to regularize thousands of unauthorized housing schemes built on encroached or usurped land. This is not justice a company that has stolen billions value of land not only Karachi take a look Lahore, Gujranwala every place they have housing scheme they they government properties has just to pay 460 billion!! It is not even the half of the amount! What a shame!!! What about the land snatched from the poor? Come on SC! @Ping, you're talking about roughly $3 Billion. it ain't no joke or a "small Portion". @Ping, This is a gigantic amount, not a “small amount” by any measure, and is just and highly favorable to the country’s treasury. At the same time time, the wisdom & pragmatism of the judges have saved a wonderful project as well as the ordinary home buyers & investors. It’s a win win situation for everybody. Malik Riaz is an extraordinary genius and a visionary in the field of building and development and his brilliant talent must be employed by the government in building & develoment of new townships especially those announced by IK. Why SC followed only bahria karachi when it was in completion phase and got all the installments from mostly middle income groups of karachi. All bahria towns are like this and Lahore and Islamabad have enormous land issues. It seemed to me that they only want to lay waste the money if Karachi population. People in Punjab reaped huge benefits from bahria towns but with this amount of money being paid by bahria karachi there is no hope for it and quality of work will be greatly reduced. It seems I'm Pakistan that if a person turn some dust into something than people say that dust was gold but you didn't pay for it. So money is coming back finally. Good decision. 10 more yrs of litigation wouldn't have given any benefit. Dont give the money to Sindh govt as it doesnt make any sense to take money back from one person only for the consumption of the 2nd person. @Ping, they were asked to pay the price the of the land which they agreed to do so. I support this decision. People have invested a lot and these kinds of settlements happen all over the World including Europe and US. Ever heard of the phenomenon "bail out package"
IT IS WORTH 290 BN (and not 460 bn), the decision is a robbery. Since the proceedings started, the rupee has been devalued by 25% and it will depreciate by another 25% in the next 7 years of the payments. Add to it the factor of present value of the installments and you will see it fall to rupees 290 bn. What will happen to the land/properties after the "99 year" lease expires? The concept of property is a fundamental part of a civilized society. @Salim, go ahead try it. The apex court should order to spend the recovered money on the development of Karachi which has been deserted by the Sindh government. Please do not hand over the money to Sindh government as it would go in the vain. Who decides it is a fair market value? Hopefully there are friends of the court who provided input in this regard. He got away so easily and cheaply.. massive system corruption. Sad very sad. @Adnan Mazher Khan, So let the government set an amount of you’re at default, pay 40% of the fine and it’s all good? We understand that the cycle couldn't be reversed on the development work, and penalties are the best way. But the wrongdoers from 'Developer, govt officials and politicians' must be punished. It will set a bad precedent, instead the people involved in this scam should be severely punished irrespective of their positions. This is no justice but a compromise. It is interesting to see how far Bahria Town has been validated by the court as it spans over thousands and thousands acres. Only about 17000 acres are legalized. The net present value of the payment is Rs. 310 billion if we assume a 10% inflation rate. When making these awards with long schedules - the Net Present Value needs to be worked out and reported. Loot $1000 billion and then $460 billion give it back! So Rs.450 billion recovered for Karachi land, and, How much Karachi will receive? Probably nothing. Sounds like someone has been influenced in this decision! No wonder the country will continue to struggle with rooting out corruption. @Oldie, take it or lose it. Its obvious Bahria wants to pay the money Sindh govt so Zardari can give it back to Malik riaz after taking his 10%. Where will the money go? Dam or compensating farmers and land owners? Correct decision by S.C.So life goes on. An honourable decision in favour of nation & all parties concerned. But action be taken against all those who were benefited to allot this land. Who will punish MR/BT for criminal wrong doings? So you want to stay on the safe side? This is a good news. 460 billion is a huge amount. Its a positive step toward Naya Pakistan. Had this been the gov of PPP or PMLN it would not have done anything against Bahria Town and Malik Riaz. Why payment to particularly to Sindh Govt. Some fishy intention is behind it. @Syed Shah, MR has asked the court to allow to pay it to the Sindh Govt. @Mohsin Malik, Very naive. There were many native people living there and were uprooted by force. This decision will have far reaching consequences for future, it has set precedence to promote mega corruption. Who has taken the 25 billion? The last offered amount was 485 billion. Such transactions involving high settlements should be verified by independent international auditors and lawyers for transparency. No doubt this country won’t go anywhere with such decisions. @Mohsin Malik, Paid for Bahria and Paid by Bahria ! Paid employee ? With this payment formula Bahria will pay Rs.106 billion in little over three years, and remaining Rs.354 billion in 4 years after that. Doubtful scheme, wonder even if half of this will be really recovered. @Mohsin Malik, Bahria Town is a convicted criminal enterprise - please think about what you are saying. They need to be blacklisted, not encouraged. @Khan USA, Anyone who don't agree with your thoughts is a paid employee. I have nothing to do with them. But Mr Khan I don't need your approval for my comments. Keep your thoughts to yourself. its too bad. Probably the scale at which this land grabbing was done the culprits, Riaaz Malik and KDA must be punished. We cannot give them way out by using part of the looted money but to confiscate the grabbed land and all involved be behind bars for extended life term. The grabbed land is worth much more (may be 4-5 times) than the amount being asked to pay and that also in 7-years. This in tern will further reduce the weightage of cost being asked to be paid. In fact, no justice has been done. Its only the rich with money who can divert any situation into their favour. Just too bad, too bad. Bahria Tiwn got a deal of the century. Now they will turn it into a Rs 460,000,000,000,000 venture. Good Decision by the SC, now please recover 2000 Billion Rupees from both Nawaz Shareef & Asif Zardari. @Ping, Where do you htink all this money is goin also if it is supposed to be paid to Sindh governemnt? @Adnan Mazher Khan, In such shady properties the investors also put black money. @Danish, This is Naya Pakistan that the govt is getting 460 Billion, if it had been any other governemnt, then we would have got zero and the looting would have gone on and on for ever. Firstly, 460 billion should have been paid in one go as they have made billions of rupees profit by selling the residential and commercial plots. Secondly,If bahria town has been given a time period of 7 years, then the payable amount should have been increased as they will make billions of rupees profit using the principal amount in 7 years. Thirdly, none of the personal involved in corrupt practices have been punished. Lastly, the amount should have been in gold karot as rupee is expected to devalue during the seven years NAB or the government should go n review.